Medicine And Health Care Concept. Close-up Of Stethoscope Is Lying On The Clipboard Near A Doctor Consults Patient. Lizenzfreie Fotos, Bilder Und Stock Fotografie. Image 116524659. Standard-Bild - Medicine and health care concept. Close-up of stethoscope is lying on the clipboard near a doctor consults patient. Medicine and health care concept. 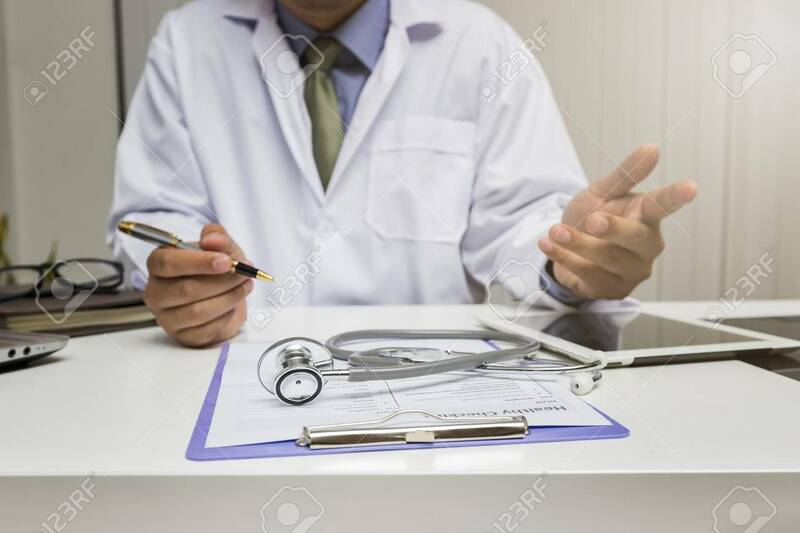 Close-up of stethoscope is lying on the clipboard near a doctor consults patient.